In most schools, refusing to do what the teacher says means an automatic detention. And with zero tolerance policies on the rise, getting into any type of physical altercation is likely to lead to a suspension. But some school departments are recognizing that those punishments don’t necessarily change students’ behavior in the long run. Instead, the key to better behavior isn’t about punishment at all. Several school departments in Baltimore, Maryland replaced traditional discipline with meditation programs. Rather than being sent to the principal's office for misbehavior, children are taught to practice mindfulness skills. And the results have been remarkable. Mindfulness programs have been implemented in other schools as well. And across the board, administrations report similar results—reduced behavior problems and increased academic engagement. The Holistic Life Foundation is the organization behind the Mindful Moment Program. The program includes a 15-minute recording that plays every morning and every afternoon for students. Students are guided through breathing techniques and meditation exercises. Teachers rotate through the classrooms to model how to practice the exercises. The program also includes the Mindful Moment Room—a calm retreat that is available to students all day. Some students recognize when they need a break and request to go to the Mindful Moment Room to calm down on their own. At other times, distressed or disruptive students are sent to the Mindful Moment Room by a teacher. The goal is to teach students to practice using their mindfulness skills when they’re having a tough time. Once in the Mindful Moment Room, an instructor greets each student. They hold a five minute targeted discussion. Then, they engage in 15 minutes of mindfulness practice, which may include breathing exercises or yoga. In addition, teachers are taught how to check in with students for emotional issues throughout the day. They also learn how to integrate mindfulness practice into a student’s day. The Mindful Moment has been used with students of all ages. 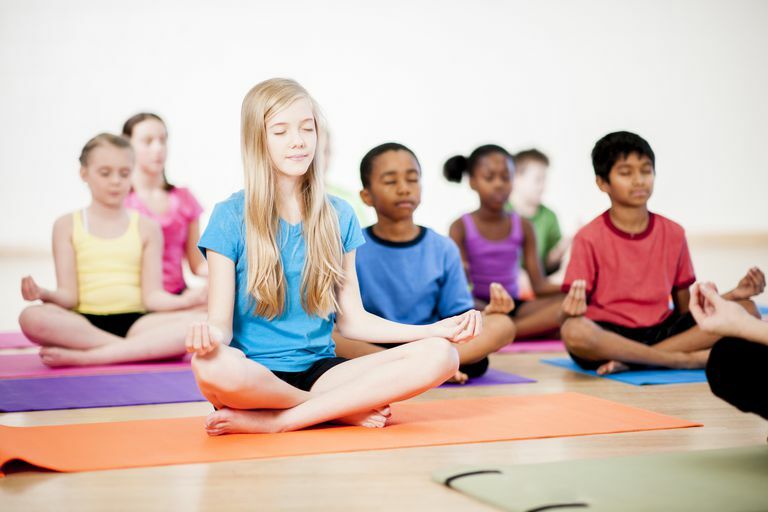 Some schools incorporate other strategies as well, such as regular yoga classes and other stress reduction curriculum. A 2010 study published in the Journal of Abnormal Child Psychology found that mindfulness-based approaches reduce problematic responses to stress. Students who learned mindfulness skills were less likely to ruminate. They experienced fewer intrusive thoughts and lower emotional arousal. Researchers found that a 12-week program was effective in reducing many of the behavior problems students previously exhibited. Mindfulness programs can be especially effective with students living in underserved, urban communities. These students are often exposed to stressful life experiences that make academics more challenging. Mindfulness can teach the life skills students won’t learn in a traditional classroom. Mental strength, character, and long-term fulfillment in life, however, could be the key to helping students reach their greatest potential. Mindfulness is about learning how to pay attention to thoughts and feelings without judgment. So rather than think, “I shouldn’t be so angry right now,” a student can learn it’s OK to be upset but it’s not OK to hit someone. Mindfulness also involves becoming aware of what is happening right now, rather than rehashing the past or worrying about the future. Instead of punishing kids for losing their tempers or sending them home early for disrupting class, kids are taught to become aware of their emotions. When they recognize they're feeling sad or angry, they can use healthy coping strategies to deal with their uncomfortable emotions. So while traditional school policies might say, "We're sending you home because you can't control yourself," meditation programs send a message that says, "We're going to teach you how to control yourself better." These programs focus on teaching kids life skills that will help them manage stress in a productive manner. The Mindful Moment Program isn’t the first mindfulness program to be launched in schools. In fact, the UK began delivering mindfulness lesson plans in schools in 2007. Two major companies in the United States that offer mindfulness training include MindUP and Mindful Schools. MindUp reports that 81 percent of students increase their emotional intelligence as a result of their program. Parents can purchase an at-home program for children who may not be receiving mindfulness practice at school. Mindful Schools offers training to educators. They provide courses that teach mindfulness skills that can be carried back to the school setting. Increased relationship satisfaction – Couples who practice mindfulness report less conflict and better communication. Better physical health – Mindfulness has been found to boost immunity, lower blood pressure, and reduce pain. Decreased emotional reactivity – Mindfulness can decrease the intensity of negative emotions, which can help people live calmer, more peaceful lives. Improved focus – Mindfulness improves concentration and attention, which can be especially helpful in today’s world where electronics are constantly vying for everyone’s attention. Better psychological health- Mindfulness combats stress and improves psychological health. Adults who practice mindfulness are at lower risk of many mental health problems. Teaching children mindfulness skills at a young age may serve them well for the rest of their lives. The benefits may extend far beyond the classroom and could help them regulate their emotions and manage their stress into adulthood, which could be key to long-term success. After all, even if a child does well academically or obtains a college degree, he may struggle to succeed in life if he can't control his temper. And no matter how well a child performs on academic tests, she'll have a hard time in life if she gets so stressed out she can't think straight. If your child’s school hasn’t adopted a mindfulness program—and most of them haven’t—you can teach mindfulness skills at home. There are many apps, books, and programs available to help kids learn mindfulness. Of course, it’s important for you to develop your own mindfulness practice. Not only will it reduce your stress, but you’ll also be a great role model for your child and you’ll be equipped to coach him when he needs help practicing his skills. You can also talk to your child’s school about implementing a mindfulness program. Show administration the research and talk about the benefits, and they might be willing to adopt a program or pay for teachers to gain training. Barnes S, Brown KW, Krusemark E, Campbell WK, Rogge RD. The role of mindfulness in romantic relationship satisfaction and responses to relationship stress. Journal of Marital and Family Therapy. 2007;33(4):482-500. Desbordes GCAB, Negi LT, Pace TWW, Wallace BA, Raison CL, Schwartz EL. Effects of mindful-attention and compassion meditation training on amygdala response to emotional stimuli in an ordinary, non-meditative state. Frontiers in Human Neuroscience. 2012;6. Farb NAS, Anderson AK, Segal ZV. The Mindful Brain and Emotion Regulation in Mood Disorders. The Canadian Journal of Psychiatry. 2012;57(2):70-77. Mendelson T, Greenberg MT, Dariotis JK, Gould LF, Rhoades BL, Leaf PJ. Feasibility and Preliminary Outcomes of a School-Based Mindfulness Intervention for Urban Youth. Journal of Abnormal Child Psychology. 2010;38(7):985-994. Moore A, Malinowski P. Meditation, mindfulness and cognitive flexibility. Consciousness and Cognition. 2009;18(1):176-186.